That’s a long time. Getting things from A to Z and all points between has been our mission since 1954. Our roots are in a downtown depot in Augusta, GA., where we initially brokered and shipped sugar, chocolate and the locally produced Murray cookies (business was sweet) from 25,000 square feet of space. It wasn’t long before our business expanded. Following the inclusion of E-Z-GO’s battery business, we decided the original depot location seemed somewhat small. In 1969, we moved to our current location on the Savannah River, where overflow could be more easily managed. RBW Logistics has moved from strength to strength, becoming ISO quality certified in 1998 and in 2004. We’re also working on becoming certified as a Foreign Trade Zone. In 2011, RBW Logistics expanded operations to Savannah, GA. Expansion to this area is now assisting a wide variety of businesses throughout the world with supply chain obstacles as their product either comes in or goes out of the port of Savannah. Today, RBW Logistics manages logistics for 80 percent of the area’s industrial manufacturers, from nearly two million square feet of space in and around Augusta. Plenty of room for our continuing A-to-Z mission. With nearly 10 locations, 15 trucks and 100 employees, we have become well equipped to handle any situation or need you may have. We are customer focused and results driven. We understand that success is never final, it’s always a work in progress. We also understand that business needs and requirements change with time. Without a strong core of shared values and goals, the relationship is not sustainable and results fade away. Be it personal or professional, any relationship must have open communication, honesty and respect. At RBW Logistics, we are guided by these set principles that serve as the core of our business. With nearly 60 years of experience as proof, these principles are time tested and proven to distinguish ourselves as a leader in simplifying supply chains. We are successful because our focus is always on the long-term, building meaningful relationships with our customers. We have developed a reputation of being more responsive and solutions oriented than our competitors. There is a continual self-evaluation of what we do, searching for a more effective way to provide these services. 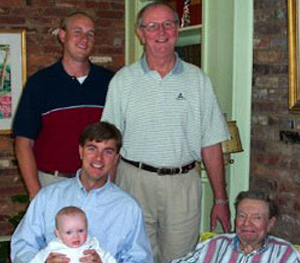 On the left, an Anderson family portrait, taken in 2003. 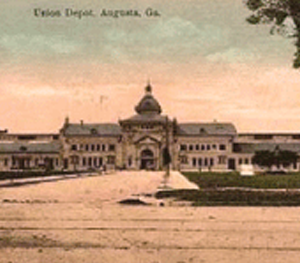 To the right, the Augusta depot, RBW’s original home, was demolished in 1972 to make way for the downtown post office and federal building.